kandeej.com: Barbie's in the house! 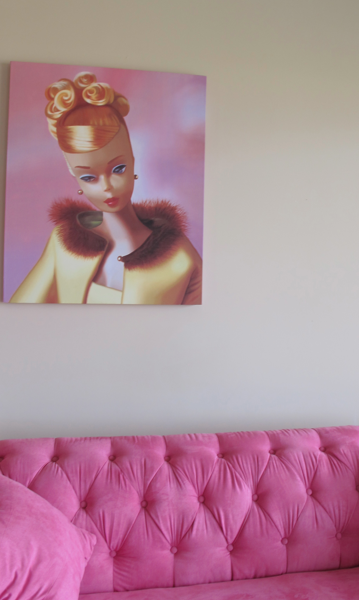 Barbie's on my wall is more like it! there is this really cool store in downtown LA that sold vintage fun stuff and had all the Barbie painting in it...I used to go there and look at all the Barbie paintings because I loved them and thought my mom would love them too! One day a friend said she had a surprise for me! It was this painting! I love it! Wait til you see them, they are so cool and Barbie-fantastic.